No doubt, the 2020 Palomino Columbus Castaway 77MB is one of the premier RVs you'll find anywhere! If you've got the itch to own this great Park Trailer then see us today at All Seasons RV! Located in Muskegon, Michigan, we're one of the largest dealers in the midwest and #1 in customer satisfaction thanks to our huge inventory and amazingly low prices! So stop in and see us today at 4701 Airline Rd Muskegon Michigan 49444 and let one of our friendly, knowledgeable staff show you how you can save $1000s on your dream RV! 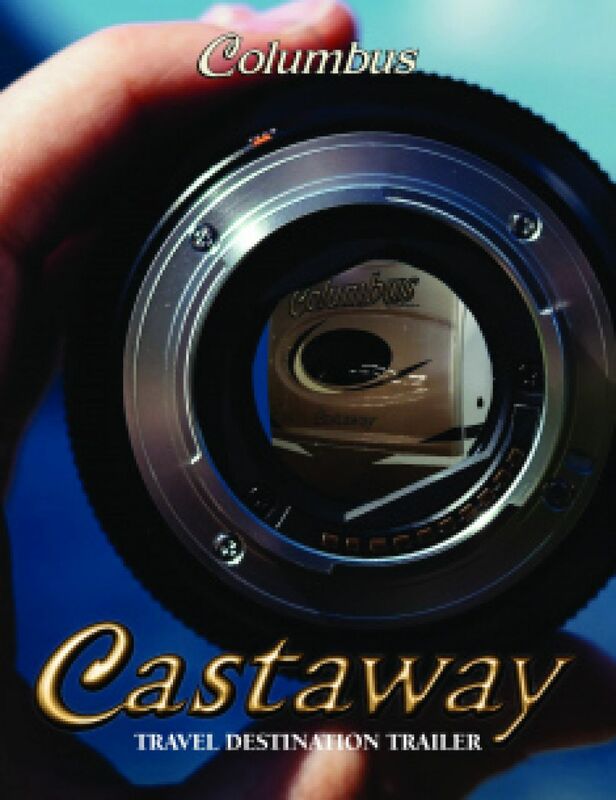 And with our fast, store-to-door delivery anywhere in North America, you can be on the road in your new Columbus Castaway 77MB in no time - no matter where you live! This rig has a GVWR of 13301 lbs. and a hitch weight of 1301 lbs. You'll enjoy some much welcomed shade outside with the 12' 0" awning! 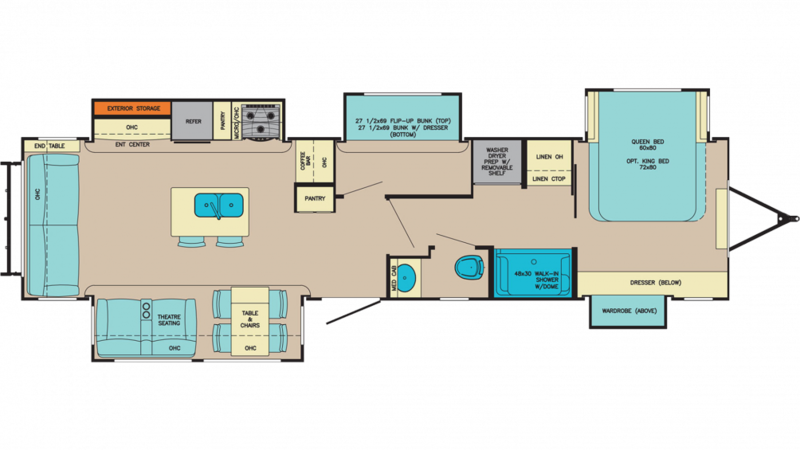 At 39' 11" long, 11' 10" high, and 8' 5" wide, there's so much room in this RV that everyone will be comfy and content! The 5 slides open up easily to maximize the living space! On the hottest days, you'll be cool and comfortable with the 15000 BTU a/c unit, while staying toasty and warm on the coldest nights with the 35000 BTU furnace! One of the nicest features is the bathroom with its many conveniences. The clean and easy to use Porcelain Foot Flush toilet and the roomy shower eliminate those pesky trips to the campground bathroom. And with a big 60 lbs. of LP tank capacity and the generous 75 gallon freshwater tank, everyone can enjoy a leisurely hot shower, morning, noon, or night! Waste and used water are stored in the 39 gallon black water tank and the 96 gallon gray water tank, respectively. The bunkhouse features extra comfy and cozy Bunkbeds! Family members and guests can cozy down into those soft, warm bunks and drift off to dreamland cozy and secure in no time!